NEW YORK -- A Chipotle restaurant in Ohio reopened Tuesday as officials investigate reports of illnesses linked to the location. Chipotle, which has yet to fully recover from a series of food scares in late 2015 that sent its sales plunging, said it closed the store in Powell, Ohio, on Monday to be cautious and is cooperating with health authorities. It said it implemented its food-safety-response protocols, which include replacing the food and cleaning the restaurant. The Delaware General Health District said it is awaiting the results of lab tests. As of Tuesday afternoon, it said it had received 368 inquiries related to a "possible foodborne illness outbreak" stemming from the Chipotle location in Powell. The health district said it is still investigating while it awaits the test results. Its team inspected the location and found no reason the restaurant shouldn't reopen, it said. A customer who claims he got sick after eating at the Powell Chipotle is suing, seeking more than $250,000 in total damages from several defendants. Chipotle's 2015 lapses included a norovirus outbreak that sickened more than 100 patrons in Boston. Separately, an E. coli outbreak that fall forced the temporary closure of more than 40 restaurants in Oregon and Washington. Chipotle (CMG) has been making a comeback in recent months, even celebrating National Avocado Day on Tuesday with free guacamole on an entree or as a side order with online or mobile app orders. But its once high-flying stocks is still down about 40 percent from its August 2015 peak of $758. 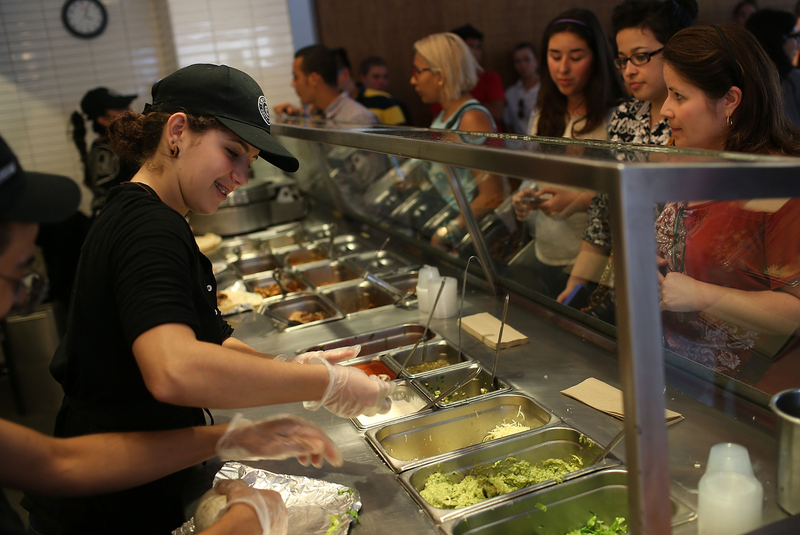 On Tuesday, shares of Chipotle were down more than 7 percent, to around $432, in afternoon trading. Last summer Chipotle retrained kitchen workers on food-safety issues after identifying a sick employee as causing a norovirus outbreak that prompted the brief closure of a restaurant in Virginia. A sick worker was also believed to be the cause of the Boston outbreak.